Appearance : Thin liquid Aroma : Sweet, Citrusy, Reminiscent of the freshly peeled fruit Color : Orange Extraction: Cold expression of fruit peels Blends Well With Although most essential oils blend well with one another, orange oil blends particularly well with black pepper, cinnamon, cloves, ginger, frankincense, sandalwood and vetiver. Shree Overseas Exports has bitter orange essential oil doterra . You have good Question how to use bitter orange essential oil . 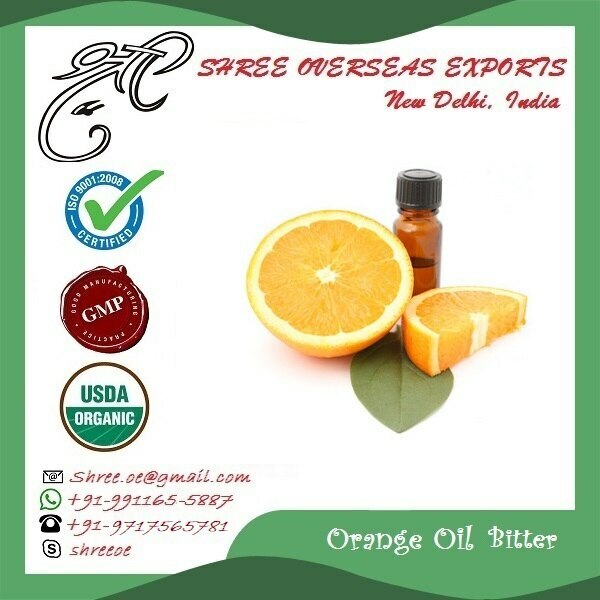 Shree Overseas Exports has bitter orange essential oil uses (bitter orange oil for hair, bitter orange essential oil weight loss , also bitter orange dosage for weight loss ) . Therefore Bitter orange oil name botanical name is Citrus aurantium var. dulcis and C. aurantium var. sinensis .